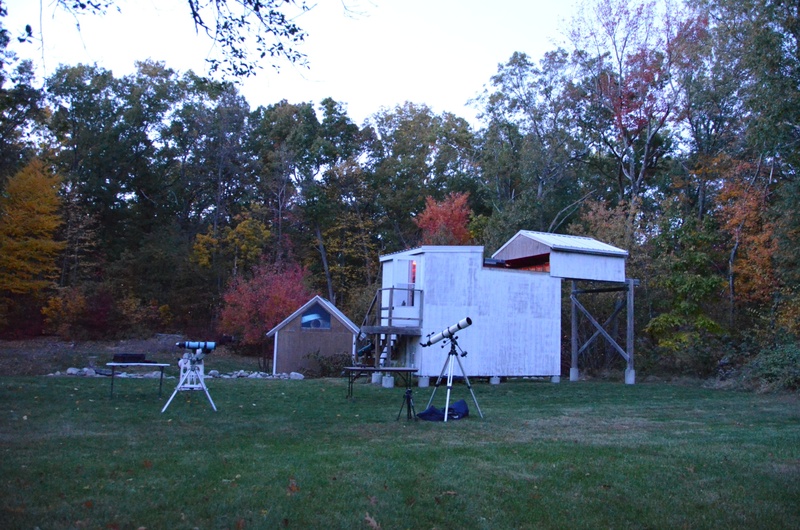 A cold night in October 2015 was the first Star Party we had at the Schueller Observatory. I was not sure what to expect, considering I had never been to an observatory prior to this, and I’m new to studying the stars. Nonetheless, I was amazed. Not only is there just a 14″ Celestron telescope, but there is a computer program hooked up to it so we can pinpoint certain stars, moons, galaxies, and more without having to use our own eyes all the time. 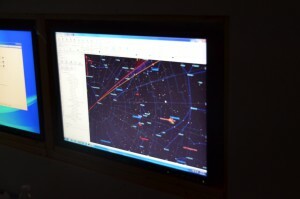 Granted, we have to calibrate the program before we can use it. 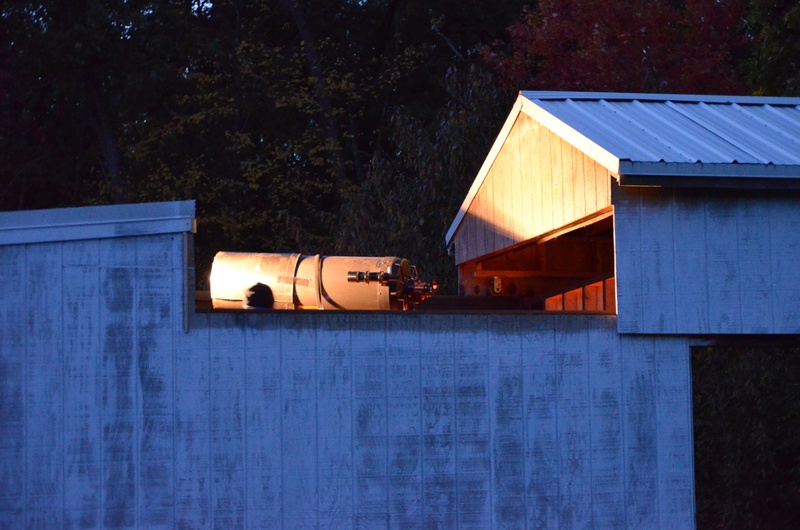 We also had smaller telescopes outside the observatory because there was way too many people present to all fit in the observatory. 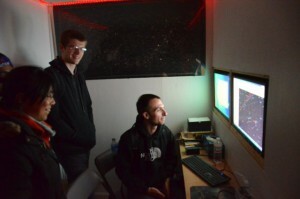 If we are lucky, we can fit 6 or 7 people in the “outside” portion of the observatory with the telescope, and 2 or 3 more in the heated room with the computer monitors. 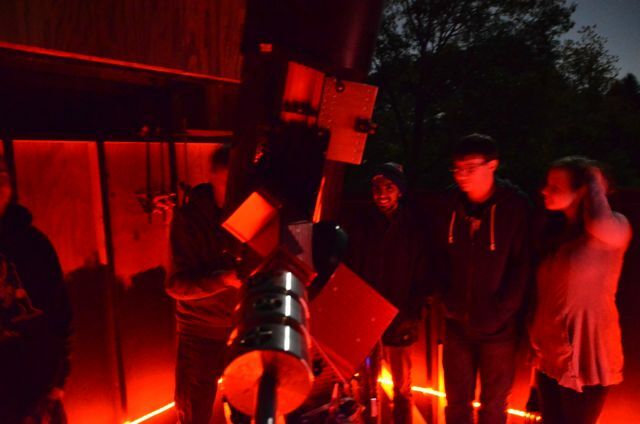 This night, we had over 25 people, so we had to rotate between exploring the night sky with the Schueller observatory and using the small telescopes in the yard. 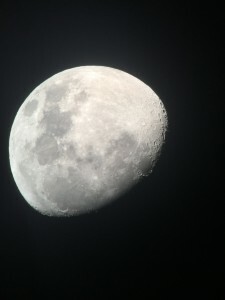 I spent most of my time looking at the Moon, since it was the clearest thing in the sky, and the closest to us. It wasn’t a full moon, but it was still about 80 percent visible (obviously 80 percent of the possibly visible portion of the moon, not 80 percent of the entire moon). These two pictures were taken with my iPhone 6 Plus through the eyepiece of one of the small telescopes that were in the yard. They came out a lot better than expected. Hopefully I can get more pictures of more objects on the sky. For now, enjoy these.